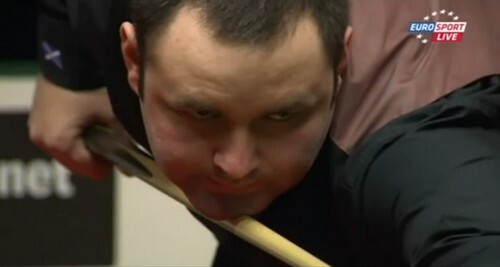 German Masters 2012: Ronnie O'Sullivan and Stephen Maguire will play against each other in the final tomorrow. Ronnie O'Sullivan was the first one to through to the final by beating Stephen Lee by 6-4. The match was expected to be an exciting one but both players did not turn out to play very well. Lee had not yet settled down at the beginning which allowed Ronnie to take 3-1 at the interval. Lee pulled another back right after the interval and should have levelled 3-3, but Ronnie cleared from green to black to lead 4-2. The Rocket gained another frame with 82 to get the match point, 5-2. However, Lee looked stronger and successfully won the next two to trail 4-5. In the important frame 10, Lee was about to force a decider but left the pink over the pocket. 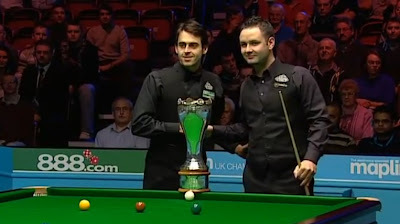 O'Sullivan eventually won the scrappy semi-finals by 6-4, to reach his first final in 17 months after 2010 World Open. Stephen Maguire had whitewashed his opponent again in the event and this time Shaun Murphy was the victim. Maguire was in the cruise control in the first three frames to lead 3-0 before Murphy was very likely to pull one back in frame 4. In that frame, Maguire needed two snookers to steal the frame and he did it. Maguire was rewarded a freeball which allowed him to clear up to take the frame. On-fire Maguire could not stopped by The Magician, he won the next two with 62 and 97 to reach the final. Who will break his trophy drought this week? Last full ranking event title for Ronnie was 2009 Shanghai Masters while Maguire's last was 2008 China Open. But of them badly needs this title, especially The Rocket for the ranking points to push him back into Top 16. We'll find out very soon.